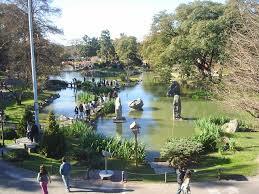 Charlie´s Blog - Buenos Aires Travel Information: Something to see for FREE in Buenos Aires everyday of the week! Something to see for FREE in Buenos Aires everyday of the week! We have all had those days when our daily budget is no longer large enough for both food and sightseeing.. Maybe it is the end of your trip and traveling expenses wOpcionesere more than you had calculated, or maybe you were a little too free about how many wine and liquor tastings you could treat yourself to each day. Regardless, there are great places and interesting events everyday in the city that cost no more than the transportation to get there! This waterside city nature reserve has lagoons, marshland and diverse flora. It is located west of puerto madero or you can just tell your google maps to take you to: 1420 Av. Doctor Tristan Achaval Roriguez. Once inside the reserve there are signed paths of varying lengths that will take you to the coast. Make sure to bring your camera to take pictures of the funky flowers with skyscrapers in the background and definitely a hat to protect you from the sun, as there is little shade. If it is a nice day, a fun walk is to start at the Museum of Fine Arts (Museo Nacional de Bellas Artes) in the neighbourhood of Recoleta and walk to the National Museum of Decorative Arts. 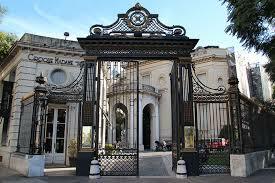 (Granted you have already seen the Recoleta Cementary, a must see at no charge!) The Museum of Fine Arts is located on 1473 Av. del Libertador and free of charge. It is nationally recognized and a large museum, so it can easily take up your morning! When you are ready for some fresh air again, taking a right on the Avenue toward the (very large) University of Law. You will find the Floralis Generica metalic flower. This is a great place to a take a picture of the flower and in the summer the avenue is filled with Jacaranda trees with their particular lavender color. Continuing along Av. del Libertador you will pass various plazas in the park and after about five blocks across the street is the National Museum of Decorative Arts. This museum is in a beautiful neo-classic French style mansion finished in 1916 and it houses 16th to 19th century European art. 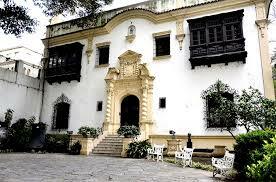 The museum opens every day from 2 pm to 7 pm, for a minimal cost of 20 pesos and free on Tuesdays. Outside the mansion is a small cafe, perfect for a mid afternoon refreshing drink or coffee. For those interested in space, there is a quirky little planetarium. 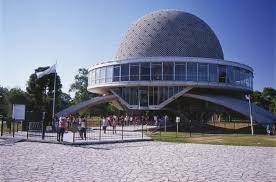 The Galileo Galilei Planetarium is known as El Planetario, and is located in the park Parque Tres de Febrero in the Palermo district of Buenos Aires. Every day they have multiple shows educating the audience in a entertaining fashion about our universe. In the 20m semispherical dome they project movies and representations of the stars of both hemispheres. Everyday they have two or three different shows (in Spanish) for as a little as 50 pesos and on Thursdays at 7 pm they have a free show. On clear nights, after the 7 o’clock Thursday show they take out their telescopes for everyone to use. 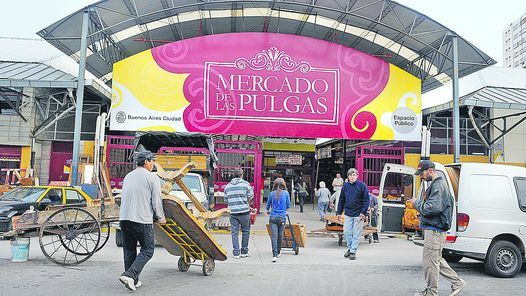 A less publicized fair is the flea market in the neighborhood of Colegiales or El Mercado de las Pulgas. If the weather on Friday is nice this is a perfect niche to check out for free and great for hipster photographs. The flea market is in a large warehouse located at 1650 Av. Dorrego. It holds around 150 different booths of antiques and collectables and is absolutely filled with stuff! Just to give you an idea, the slogan of this market is ¨Whatever you are looking for, we have it here!.¨ Make sure to bring your camera and give yourself plenty of time to check out all the booths and when you are done walking around there is a little café decked out in artsy decorations with tasty pastries and coffee. Luckily, this flea market is walking distance from Palermo Hollywood, so come afternoon and you have finished looking around just take a left out of the flea market and walk two blocks along Dorrego Av. Take a right on any of the cross streets (Gorriti, Honduras, Costa Rica…) and you will find yourself in a picturesque neighborhood with alternative restaurants, cute cafes, and craft breweries. Almost all of the craft breweries have a happy hour from 6pm to 8pm, including the German ¨Baum Brewery¨ at 5720 Honduras who serves their beer with addictive Japanese peanuts! 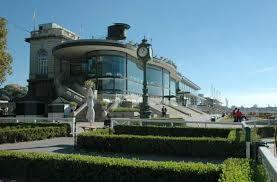 El Hipodromo Argentino de Palermo is a huge horse racing venue, hotel and casino. The impressive structure is an example of neoclassical French architecture which was popular in Buenos Aires during it's very prosperous end of the 19th century. The hippodrome is a nice place to visit any day, even if you don´t see a horse race it is nice to walk around! If you are lucky, some Friday and Saturday evenings there are festival events in the hippodrome plaza, anything from Beer Festivals to Food Truck Festivals. And if nothing is going on that night then you are just blocks away from a prime area for restaurants and bars that will be open all night. Walk left from the hippodrome along Av. del Libertador until you can cross the avenue at the street Andres Arguibel. Take the second right on a street called Báez and you will immediately find cafes, bars and picturesque streets of Palermo to wander! For Argentines, Sunday's are a day to be spent with family and friends and the locals of Buenos Aires are no exception. It is very common for the family to get together to eat asado (Argentine Barbecue) or for friends to go to a park or plaza to drink mate (pronounced maté) and play futbol (Soccer). A great park to experience this is Parque tres de febrero located in Palermo centered at the intersection of Sarmiento and Libertador. The park includes duck ponds with paddle boats, a rose garden and tons of weaving paths to wonder along any time of day. Bring a blanket to sit on and find a comfortable corner to relax and people watch or enjoy a picnic. Closer to the paddle boats and rose garden there are vendors selling popcorn, choripan (sausage in a baguette), cold beer and ice cream!